What is an installment sales contract? An installment sales contract is a type of contract of payment, which means the allowing of one party to purchase an object from another party without having to pay the full amount immediately, but rather they are required to pay it back in installments. What are installments? Installments are a certain amount of payment made for a certain amount of time. Now, installments sales contracts are a type of contract that has certain punishments for the party failing to repay the debt, similar as to how a contract in business lawsuits require parties to comply with all arrangements made within the contract. 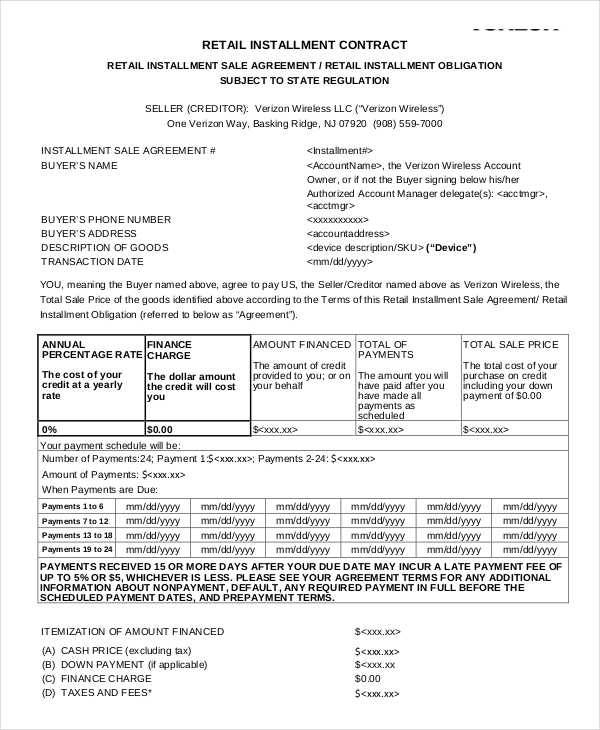 What Is a Retail Installment Sales Contract? A retail installment sales contract is basically a loan. However, instead of acquiring funding from the bank to purchase a certain thing, this is done with a retailer, and the process of the loan will be an installment, in which the person will be repaying the retailer on a certain time interval. This method of repayment is even used in a property contract so as to allow people to purchase property outside of their current budget. Contracts can be made in certain formats like contract in PDF, contracts in Word, etc. What Is an Installment Sales Contract? An installment sales contract is essentially a loan made between any other financial agent that is not related to a bank. It is typically done so as a means of repaying the seller of a certain piece of property to the buyer, in which the rights and claim of the property will be transferred to the buyer on the completion of the payment. 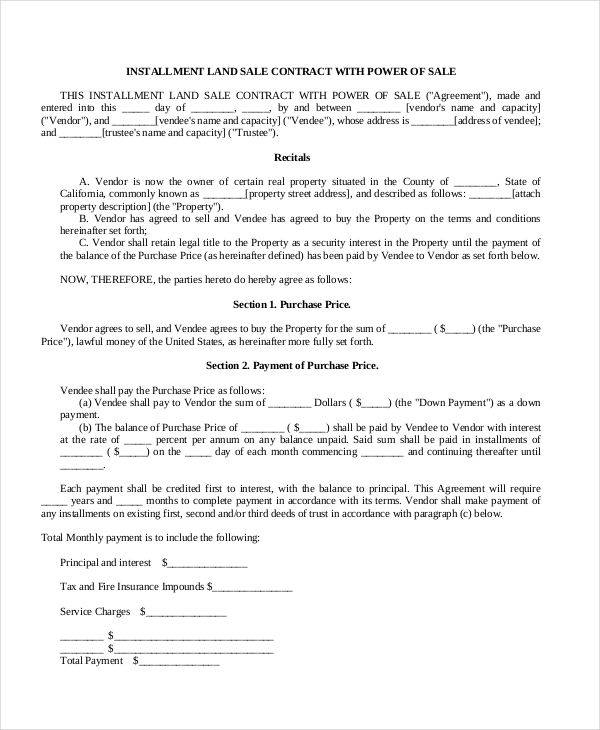 Now, these kinds of sales contract agreements typically require the buyer to repay the debt by a certain date, otherwise the buyer must return the object that he/she has purchased from the seller. This type of penalty is done so as to ensure that the buyer will indeed repay the total debt to the seller. 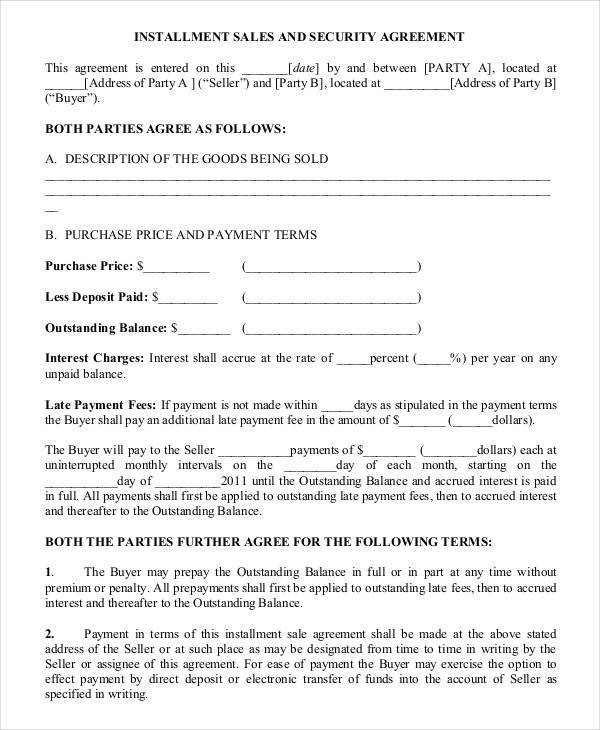 Indicate the two parties involved in the contract. Identify stipulations for both parties. This is to ensure that both parties are informed of the stipulations and have agreed to it. List down what type of transaction was taken place. Identify the methods of payment for the buyer to the seller. 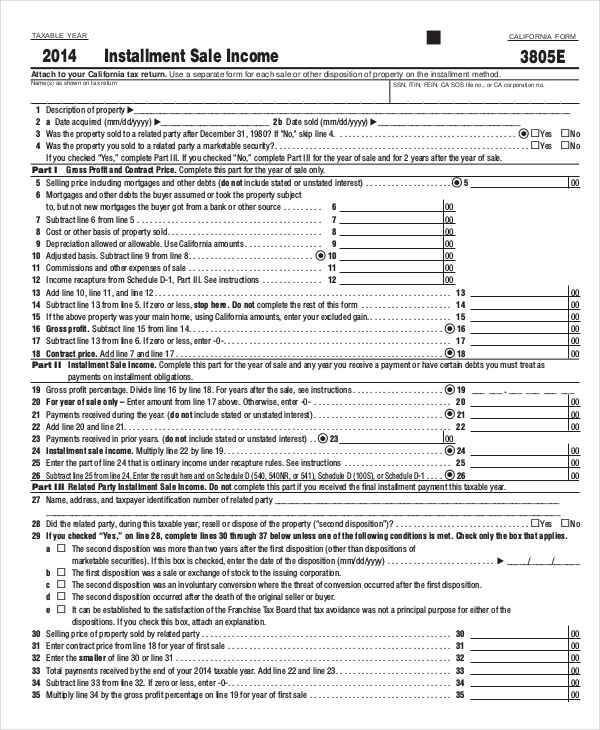 Highlight the deadline of payment. This portion is one of the most important things to add in the contract because every legal contract requires that they are signed by both parties during a specific time period. Identify grounds for termination of the contract. This portion is also known as a loophole portion of a contract. 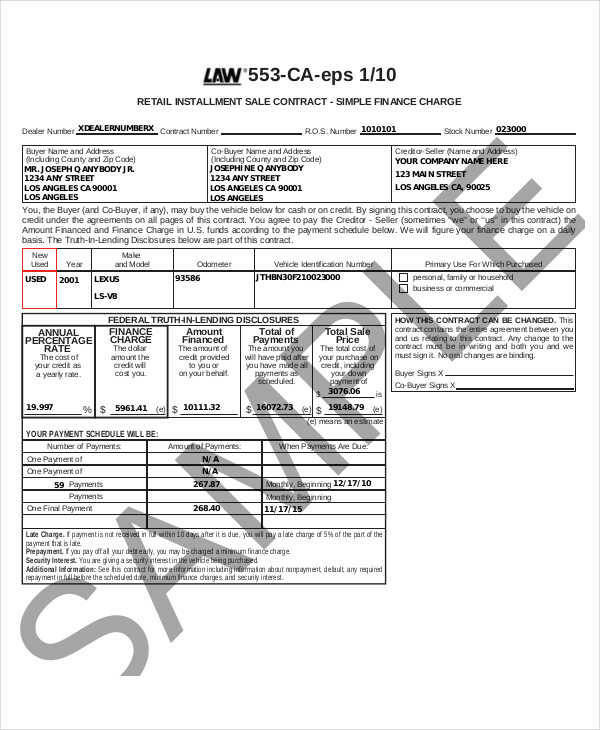 If ever you need more information on this topic, you can always read our contract samples. However, it’s not limited to only installment contracts, there are other contracts you could learn as well, such as automobile contract, installment sales contract, and many more.